I officially cannot hang. 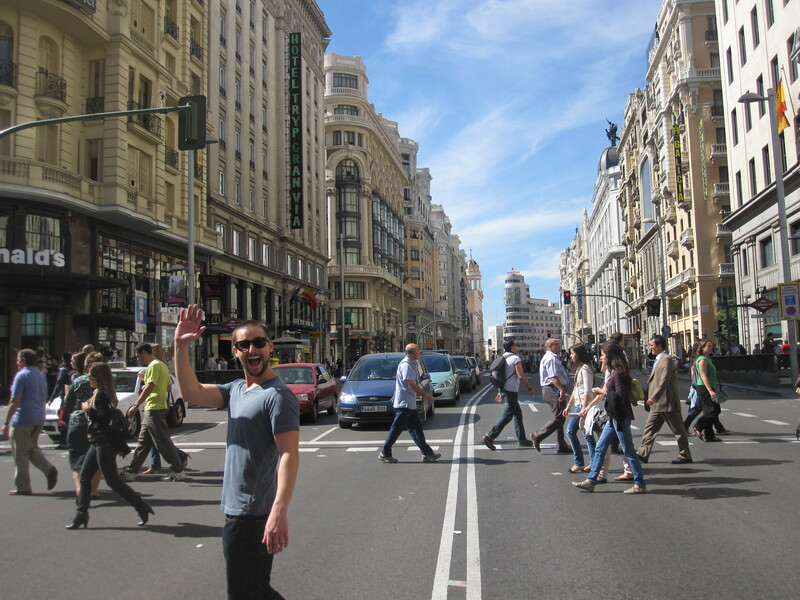 Madrid, you have beaten me. I come from a school that knows how to party, and I thought I had a chance of being able to keep up, but I am out. Every night here is like Vegas, even the nights where you do ´nothing´ involve eating dinner and having a few beers until 1:30 or 2am. After only 10 days here, I am exhausted, and actually more zombie than human. Thank God I am moving into my new apartment tomorrow, so I can be a hermit and finally sleep maybe 7 hours a night like a real person without anyone judging me. In other news, I actually tried to be a good tourist and take some pictures. It wasn´t a big success, but here are two shots of my new city, enjoy! Is that just a smiley Spaniard or do you know that man? I hope it’s the former.